With Steve McLaren at the helm, fans of former European champions, Nottingham Forest FC, tell Bikash Mohapatra they hopeful of the club securing promotion to top-flight football this season. A phrase visible almost everywhere once you enter The City Ground -- the home of Nottingham Forest. Another visible feature is the omnipresence of one Brian Clough, a coach who guided the modest club to national and continental glory. Not since the legendary Robin Hood has any name had so much impact on the psyche of the Nottingham residents. Wednesday was a big day for the Forest fans. Their favourite club played fellow former European champions and Dutch giants PSV Eindhoven in a pre-season friendly. Is it a full strength PSV side? I asked a club official. He smiled back with an affirmative response, before pointing to the ticket counter. "Go grab your ticket now. Only a few are left," he suggested. I asked him if passes were available and I was told they are taken. The tickets though were reasonable. It was expected to be a packed house in 30, 000-plus capacity stadium, a rarity these days in a club where only the vestiges remain. For the record, PSV Eindhoven won the friendly on Wednesday 3-1, with Dutch midfielder Georginio Wijnaldum scoring a brace. Forest hasn't been in the top flight for the last twelve seasons and the attendance has been slowly but surely dwindling. "It is no more a packed house for the home games," laments Liam, a long time Forest fan. "It is now about 23, 000 people at most during a match," he adds. The numbers offer a sharp contrast to what was the case three decades back when Forest regularly challenged for domestic honours, besides surprising one and all with their results in Europe. Clough was the architect of this golden phase. Two years after taking of charge in January 1975, the manager ensured the club promotion to the first division. Then followed a period of significant success. Under Clough's guidance, Forest became one of the handful teams to win the English First Division (1977-78) title a year after winning promotion. A year later, a 1-0 win over Swedish club FC Malmo in Munich ensured them their first European Cup -- the predecessor to the Champions League. The title was conveniently retained the following year, with a solitary goal win over German club SV Hamburg. The European Super Cup and a string of League Cup successes have in the next few years, most recently in 1989 and 1990. 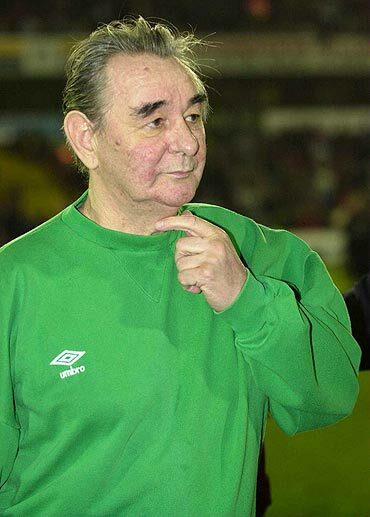 Relegation from the inaugural Premier League in 1993 though brought to an end Clough's 18-year reign as manager. The man who had led Forest to 16 illustrious years of top flight football -- and a league title, two European Cups and four League Cups -- and more importantly, having given the club a new identity, had suffered an unceremonious exit. It has been an uphill task for Forest ever since. They did win promotion back to the Premier League in the 1997-98 season but were relegated in the next season. Thereafter the club has been doing the rounds in the three divisions, most recently being a League Championship side. It has been a painful period to say the least. "We are not what we used to be. But still the club has a lot of history," says Gordon, stating more or less the obvious. It is however, this history that inspires the Forest players to keep fighting and the club supporter to continue backing their favourite old club. The last two seasons have aroused hope before leading to subsequent despair. In 2010, having missed out on automatic promotion to the Premier League, Forest secured a Play-off place before losing out to Blackpool. The following season witnessed Forest finish in sixth place in the Championship table and yet again missing out on promotion following defeat at the hands of Swansea City. "It is sad that Forest could not qualify for the Premier League in the last two years," says Tim, a Nottingham resident who self-confessedly is not a Forest fan. "I am a Leicester City fan and we are playing in the Premier League next season," he boasts. 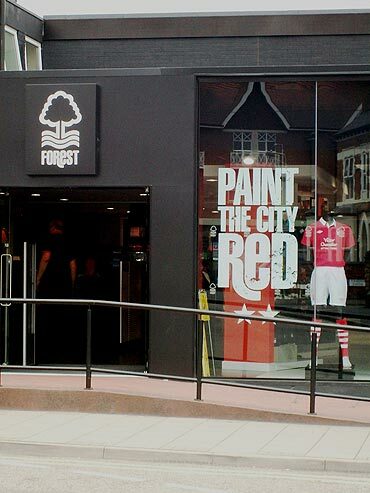 (Leicester, along with Derby County, is two of Forest's major East Midlands rivals). The two near misses have brought some optimism to The County Ground though. 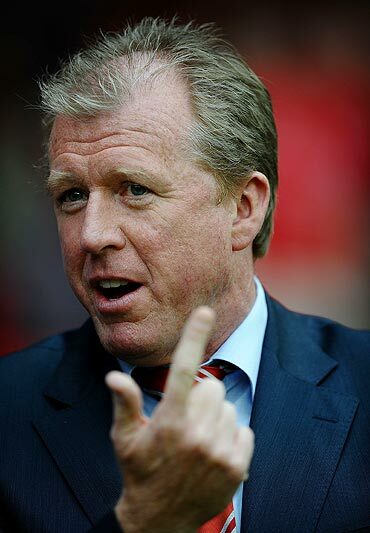 As also the fact that former England manager Steve McLaren has been brought in to take charge. The signs are that the Forest bosses will attempt to go all out in the upcoming campaign. "We have a good manager now and have also signed some good players. We should secure promotion this year," says Tim, exuding a positivity that has suddenly engulfed many Forest fans. One question remains to be answered though. After more than a decade's absence from the top flight, could this finally be Forest's year? At the Oscars: Yummy mummies and moms as dates!